AG Verleih – Verband unabhängiger Filmverleiher e. V.
Around 25 European film projects will be selected to present an excerpt of their current film production to a circle of International industry professionals with the aim to find creative partners, co-producers, distributors, world sales, commissioning editors, broadcasters and/or financiers. The focus is on European fictional feature films and animation rather than documentary film with at least one European entity involved in the process. By the time of the pitch, an excerpt that adequately represents your film will be required. Each presentation is scheduled for a max. of 15 minutes. There will be plenty of time for arranged one-to-one-meetings. Once your project is invited, we will participate in the costs for your traveling and, of course, take care of your accommodation. An international jury will award four projects with vouchers for post-production services worth EUR 20,000,- and EUR 15,000,- endowed by the MMC Studios, a voucher for sound-post-production services in the amount of EUR 10,000,- endowed by K13 as well as 2 x EUR 2,000 for the subtitling of a movie in two languages provided by Eclair. 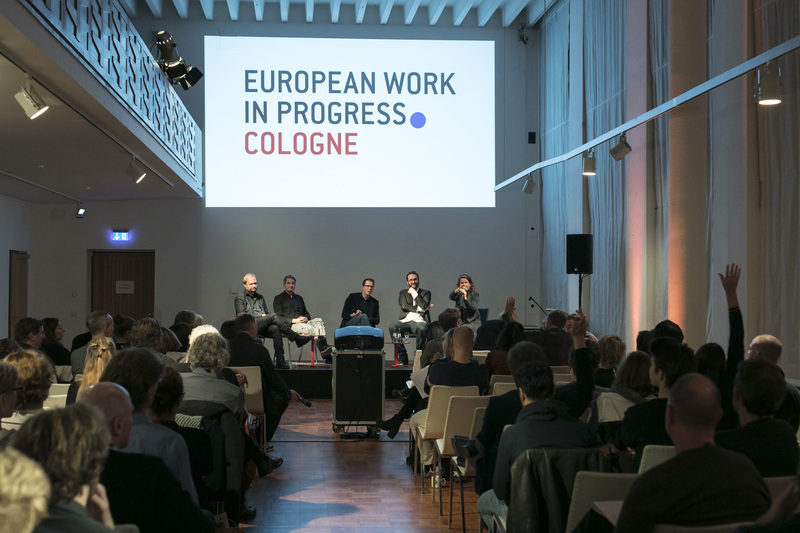 European Work in Progress Cologne will be complemented by various panel discussions in cooperation with Creative Europe Desk Germany and EAVE .